I’ve been doing a lot of time traveling lately partly due to my bed time reading of the marvelous 900+ page paperback The Time Traveler’s Almanac. I’m tempted to try out Mr. Peabody’s Wayback machine. This is also the time of year where I am flooded with memories of my time at Carroll (and my (in)formative years at Oberlin College and Ohio State). And I whistle a lot while walking across campus as I process this flood of memories. Once I get the semester successfully put to bed (with fond farewells to graduates at Commencement on Sunday), I need to turn my attention to sorting through photos, thoughts and memories in preparation for Mom’s memorial service on May 17. Little Brother Bruce and Big Sister Connie Sue kindly sent me all the photos from Mom’s Sun City Residence. 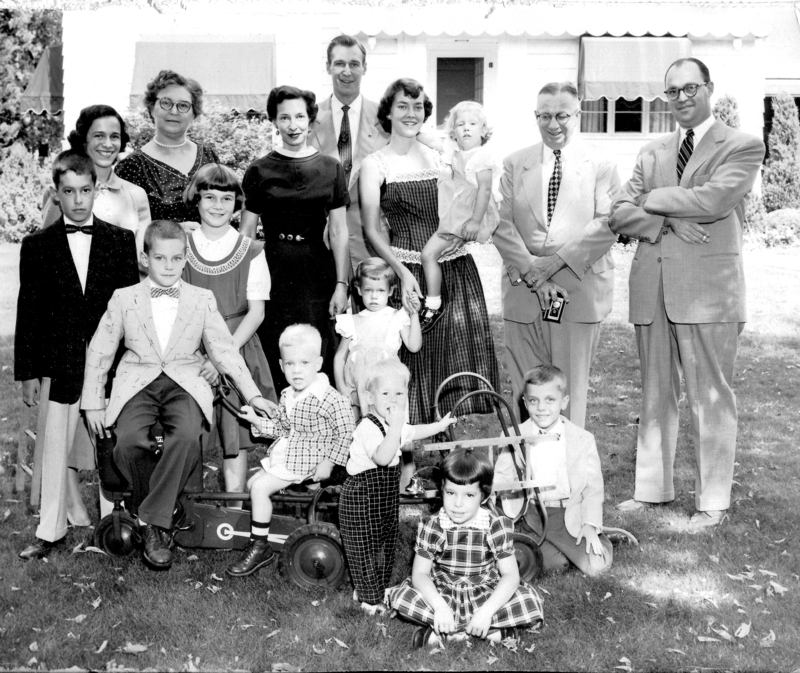 Can you pick out Connie, David, and Bruce as they looked in 1955? I wonder what we were thinking then? I think that I had gotten over my desire to run away from home because of the birth of Bruce and was trying to teach him how to read. I hadn’t yet started teasing Sis, though I may already have inadvertently locked her in the bathroom. Here are some of the events shaping our thinking then. I can vaguely remember some of the radio show and TV shows. What do you remember from 1955? What would you like to remember when you are 65? 90?